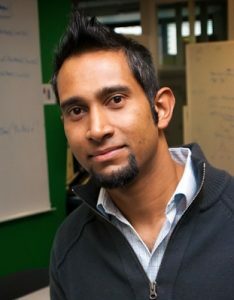 I am a Professor in Artificial Intelligence and the current Associate Dean (Head) of Computer Science and Software Engineering at RMIT University, Melbourne, Australia. My interests are in Agent Oriented Software Development (how do we build and construct Intelligent Systems), Agent Reasoning (how can programs behave in smart ways), Intelligent Conversation Systems (how can systems interact intelligently satisfying a user’s information needs), Agent Testing (providing assurance that the systems work) and in Intelligent Games (how can intelligent game masters be introduced into role playing games). I collaborate with industry partners and researchers both local and international and have managed various aspects of research projects and product development. My goal is to continue to be involved in developing smart systems that are not only intellectually challenging but also have practical benefit and impact. Copyright © 2019	John Thangarajah. All rights reserved.